Last week brought us the first images of LG’s upcoming V30 smartphone – thanks to Joseph Gordon-Levitt’s HitRecord site – as well as confirmation that the handset will feature a f/1.6 aperture camera lens. Now, the company has revealed details about the software in its next flagship. Following on from the G6’s “UX 5.0+” custom skin, the new version debuting on the V30 is dubbed “UX 6.0+,” which is optimized to work even better with the 18:9 OLED FullVision screen. 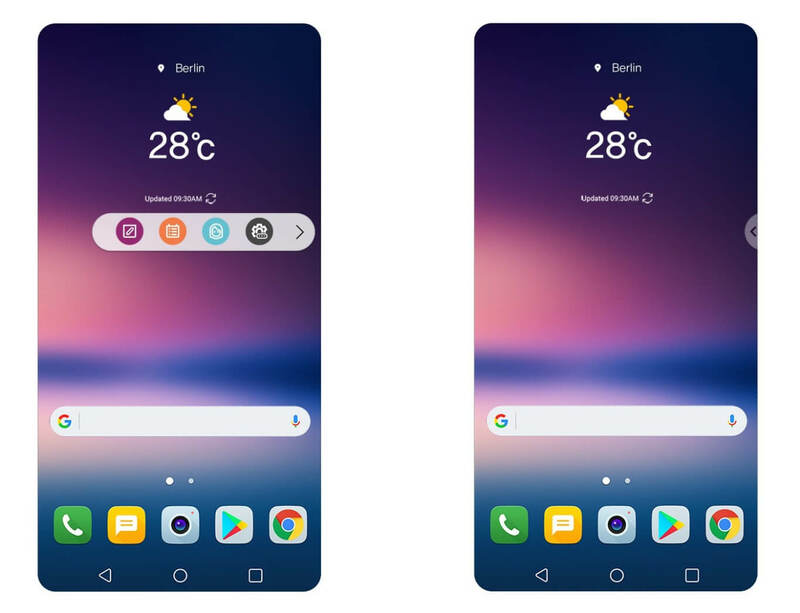 As previously rumored, the secondary display found in both the V10 and V20 is absent from the V30, replaced with a software-based Floating Bar. The semi-transparent menu lets users quickly access frequently used functions and various options. It can be dragged away when not in use, leaving a Galaxy Edge-style pull tab at the side of the screen. LG is particularly proud of a feature called Graphy, which is accessed from the camera’s Manual Mode. It allows users to choose from a series of professional photos (or download them from the Graphy website) and apply the same “style and mood” of the picture to one of their own. This recreates the selected image’s settings, such as white balance, shutter speed, aperture, and ISO, on photos taken with the V30. One of the most interesting new elements of the V30 is its facial unlock system, a security feature that’s becoming increasingly common in high-end phones. Unlike other handsets, LG’s version is always working, meaning it can be used without first having to press any buttons. There’s also an always-listening voice recognition system that uses pre-generated words of 3 to 5 syllables. Other features include the always-on display that can now show the clock, Quick Tools, Music Player, or a personal photograph.